By popular demand, the location of the Chamber’s 11th annual popular “Foodie” event has changed, as well as the name! 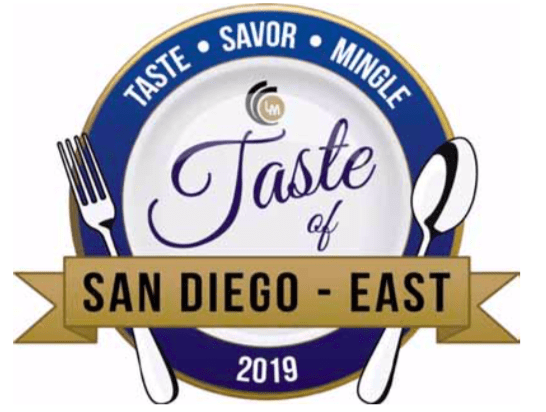 The “Taste of San Diego – East” happens on Monday, June 3rd between 5:00 p.m. – 8:00 p.m. and is now being held at the Town and Country Hotel in the Golden Ballroom, 500 Hotel Circle North in Mission Valley. 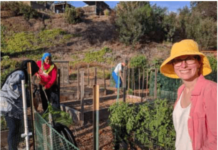 The popularity and crowd of this annual event has outgrown the La Mesa Community Center, where it has been held for the past 10 years. We are proud to announce that our Presenting Sponsor of this newly renamed and retooled food-focused event is EdCO. So, make plans to join us and “Taste, Savor and Mingle” in one ballroom, with plenty of room to stroll throughout the food and business vendor tables. Enjoy great food samplings, free prizes from business sponsors/vendors, a silent auction and raffles during this fun-filled evening. 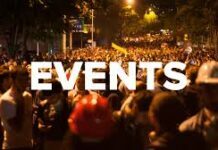 Prior to May 28th: VIP Tasting: $60 I Time: 5:00 p.m. – 8:00 p.m. (Includes 1 Extra Hour of Tasting & Entry into a Special Raffle) General Admission: $40 I Time: 6:00 p.m. – 8:00 p.m.